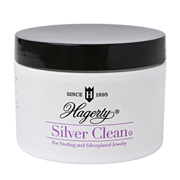 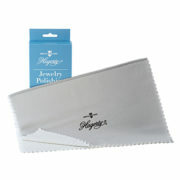 Keep your fine jewelry organized and tarnish free in this double sided jewelry keeper lined with Hagerty Silversmiths’ Cloth treated with R-22, the world’s longest lasting tarnish preventative. 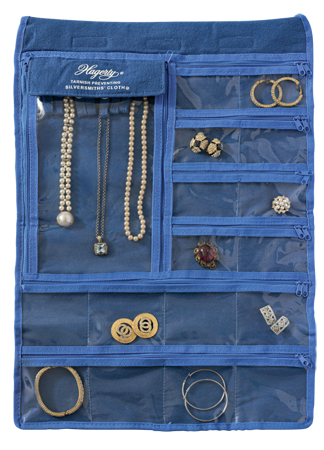 Featuring a total of 35 zippered compartments to keep jewelry separated, tangle free, and secure, the Hagerty Tarnish Preventing Jewelry Keeper attaches easily to any coat hanger or folds flat to fit standard-sized safety deposit boxes and carry-on luggage. 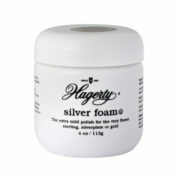 Safely stores sterling silver, silver plate, gold, platinum, and all fine jewelry. Store clean, polished sterling, silver plate, or gold jewelry.